The Nashville-based 25-year-old venture capital firm Heritage Group has made a strategic investment in Sharecare, an online platform that combines clinically-proven assessments, tools, and content to provide customized health management to consumers. 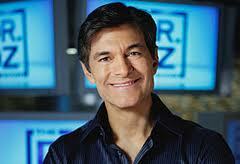 Sharecare was founded by Jeff Arnold and Dr. Mehmet Oz. This round of funding brings Sharecare's total funding to $91 million.